The Port Adelaide Football Club is proud to announce a partnership with Four’N Twenty that will continue strengthening cross-cultural ties between Australia and China. The iconic Australian brand will be the Presenting Partner for Port Adelaide’s ground-breaking grass-roots program, Power Footy, which uses football to introduce Australian culture to Chinese schools. Patties Foods Chief Executive Officer Paul Hitchcock says, “Port Adelaide’s engagement in China matches the company’s vision to evolve its sponsorship strategy with a more global focus, while building on the relationship with the club which has already spanned three years. 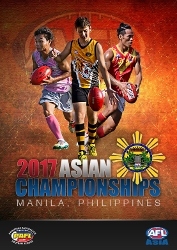 The Philippines capital city of Manila played host to the 2017 AFL Asian Championship last weekend. Clubs representing nations from across the length and breadth of the Asian continent took part again in the AFL Asia showcase event, with the Warriors claiming the Division 1 title and the Bali Geckos making it back-to-back Division 2 titles. After taking the 2016 title, and being the host nation for this year’s event, the Philippine Eagles entered the vent as mild favourites. However, the Malaysia Warriors would have none of it, winning their way through the round matches before downing the Eagles in the final and celebrating 25 years as a club in grand style. 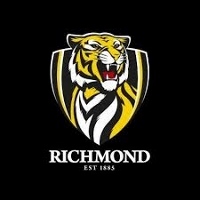 Thailand Tigers Australian Football Club announced at AFL website the following news concerning an all-Thai local Auskick Footy match played out in Bangkok. 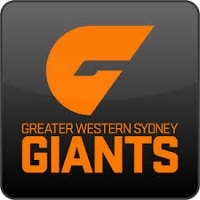 The www.afl.com.au website reports that a match for premiership points could be played in India as early as next season. The following article gives details of the planned move which follows in the wake of a premiership match in China earlier this year. Zac Stewart from the Singapore Sharks Football Club has been announced as the eighth weekly nominee for the 2017 NAB AFL Auskicker of the Year competition. To coincide with the Round 8 Toyota AFL Premiership Season match in Shanghai between the Gold Coast SUNS and Port Adelaide Football Club, Power fan Zac was announced during an interview with the Seven Network’s Hamish McLachlan in China. The NAB AFL Auskicker of the Year competition calls for 2017 registered participants of the program, both in Australia and internationally, to enter for the chance to become one of 22 weekly nominees. It has been a big build up in the football media all week to this historic match in China for Premiership points. Early in the week much of the media seemed negative, possibly because of Rodney Eade’s post-match comments last week when asked about the game. As the week has gone on though the sentiment has gradually turned supportive of the match and the acceptance that the potential that China offers should be given a go. Unlike previous matches in Wellington, this overseas match was shown on free to air TV in Australia and late in the week the deal was secured for the match to be shown live in China on various networks (with Mandarin language commentary). Along with the debut of an AFL regular season match in China - there is also a lot of grass roots Asian footy going on to take advantage of this match as a chance to get together. The AFL Asia Shanghai Cup conducted yesterday - Saturday May 13th - took place at the Wellington College International Shanghai. Many of the players competing Saturday will likely attend the Port v Gold Coast clash today. One of the competing sides is the Vietnam Swans. And while for many people there is a view of expats dominating AFL in Asia - the Swans are among the growing band of footy outposts that are working at developing local footballers; and for the first time the Swans were captained by a Vietnamese local in Nguyen Quang Vinh. The AFL is pleased to confirm Chinese television networks, CCTV, Shanghai TV and Guangzhou TV, will broadcast Sunday’s Round 8 Toyota AFL Premiership Season match at Jiangwan Stadium into mainland China, in addition to the Australia Plus Channel being available for pick up across China via satellite. 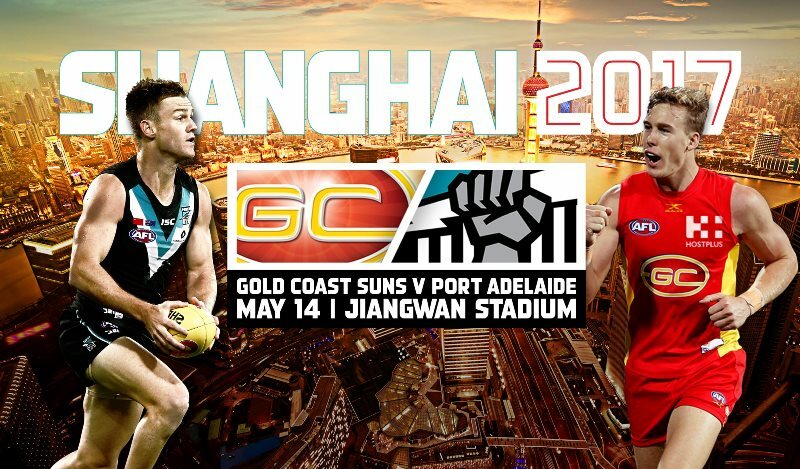 AFL General Manager of Clubs Travis Auld announced today the three free-to-air Chinese television networks will broadcast Sunday’s historic match between the Gold Coast SUNS and Port Adelaide Football Clubs. “I’m pleased to confirm that CCTV, Shanghai TV and Guangzhou TV, all free-to-air networks in China, will broadcast Sunday’s Round 8 match from Shanghai,” Mr Auld said. The squads for Sunday's historic clash between the Gold Coast Suns and Port Adelaide in Shanghai has been named tonight. See below.